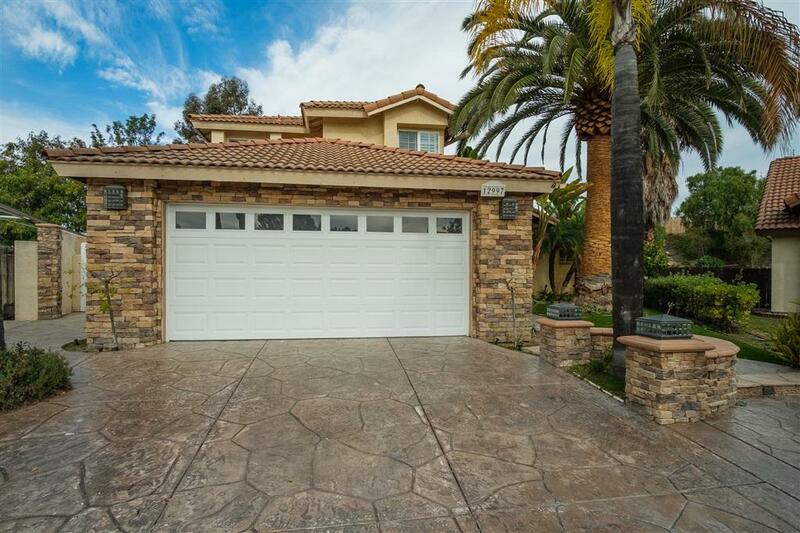 Located in a highly desirable neighborhood, this spacious, well appointed cul-de-sac home has captivating curb appeal. Upgrades include dark cherry wood cabinetry and built-ins throughout, complimented with granite counters. The curved staircase creates a dramatic entrance. There's a full bathroom and bedroom downstairs. Upstairs includes a master en-suite with a supersized deck, plus 2 bedrooms and 3rd bathroom. 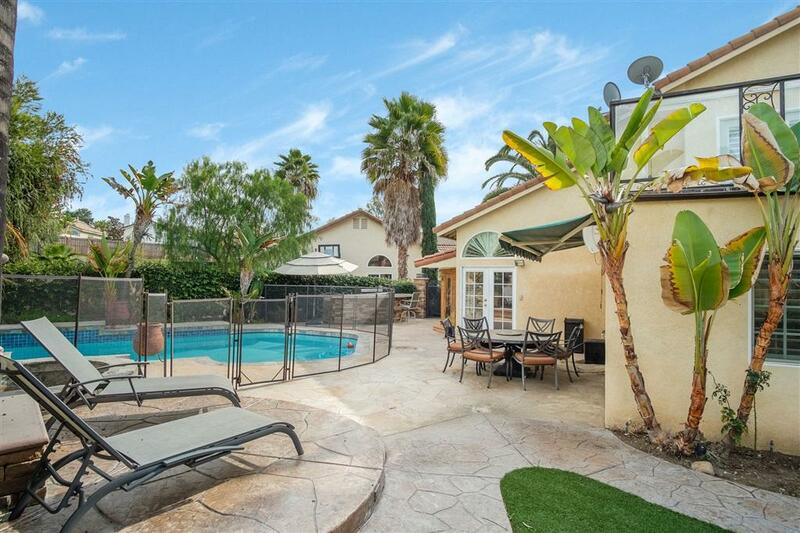 Stunning, private oasis back yard with Guest House, Pool, Spa & built-in BBQ. The Home has a double gate on the left that can provide extra guest parking if needed. The guest house is great for a long term guest or extra income rental. This home has a dream floor plan. 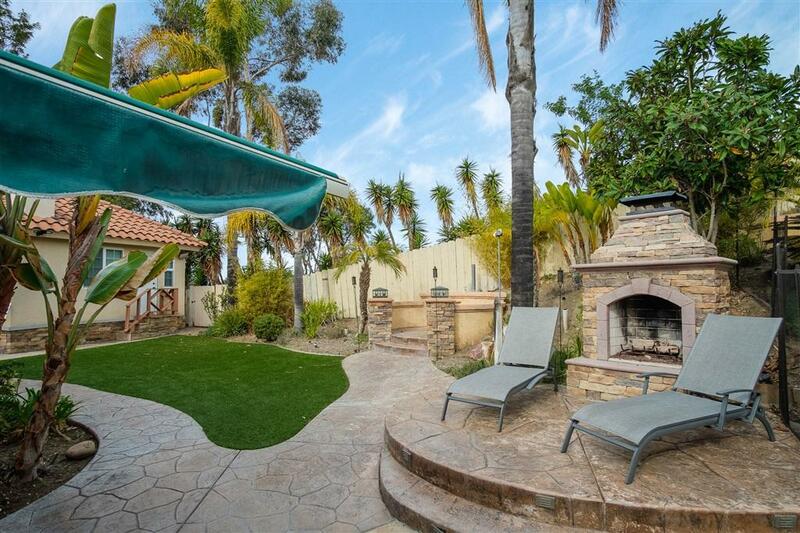 Private back yard also includes a waterfall feature to the left of the pool and spa to complete the serene private oasis with built in Gazebo, Outdoor Fireplace and Built in BBQ. Easy access to freeways, parks, public library, YMCA and shopping! Poway Unified Schools include Canyon View Elementary, Mesa Verde Middle and Westview High School. 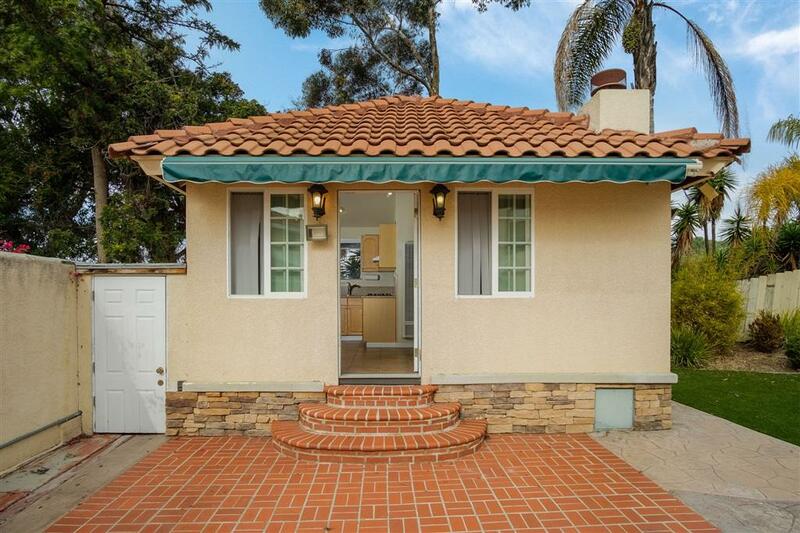 Only minutes to the beach and Sorrento Valley through Hwy 56!